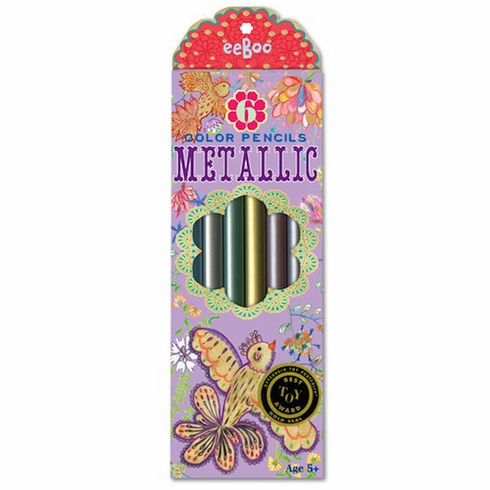 6 large easy grip metallic pencils to add shimmer to your art work! Gold Birds on the cover printed with metallic ink. Illustration by Fumiha Tanaka. For ages 5 and up. Colors are: red, green, blue, copper, silver and gold. Box printed in gold metallic ink. Includes sharpener!